Details: Ex demo machine. 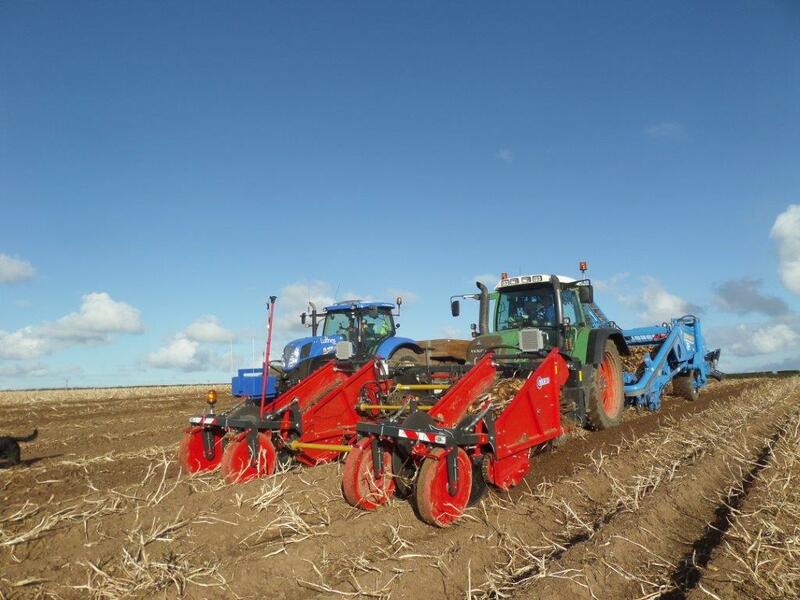 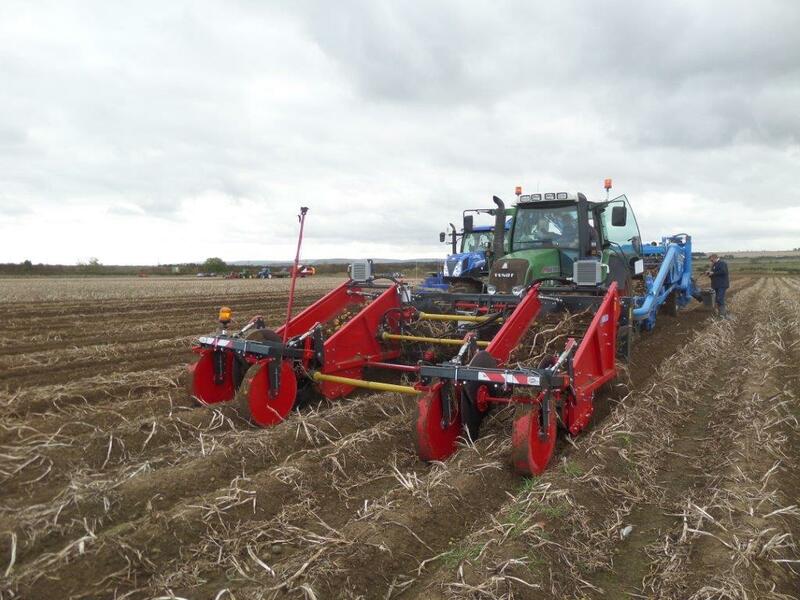 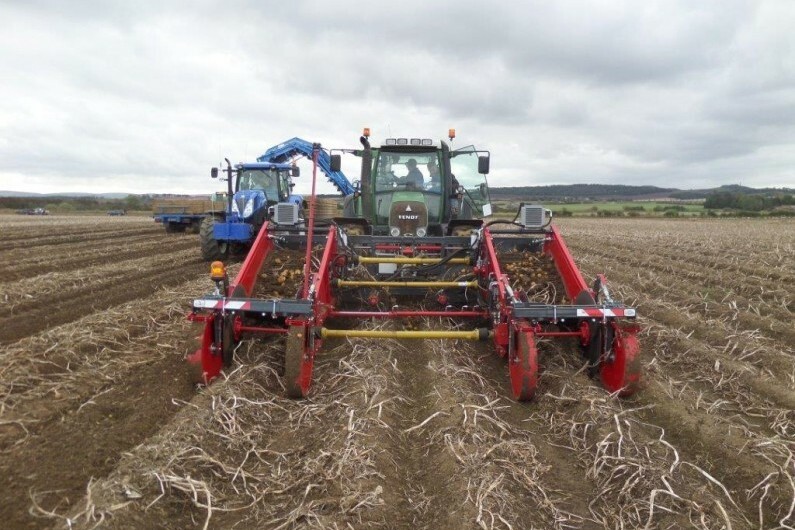 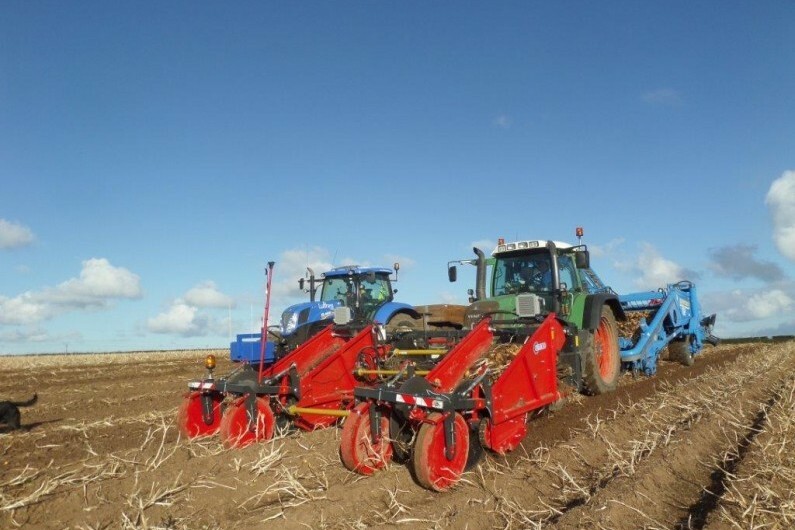 Suitable for use with trailed 2 row harvester allowing 4 rows to be harvested in one pass, hydraulic sideshift for road transport and differing row widths, gentle transfer of crop, powered depth wheels and discs, in cab control box. 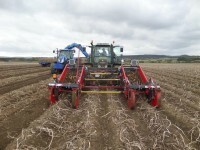 Available for demonstration.